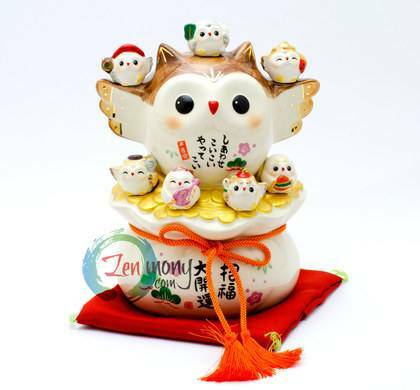 ★This good-luck owl ceramic okimono (Japanese traditional house decoration) is believed to invite happiness and money★In Japanese word "fukuro" (owl) is homonymous to the phrase "no suffering". 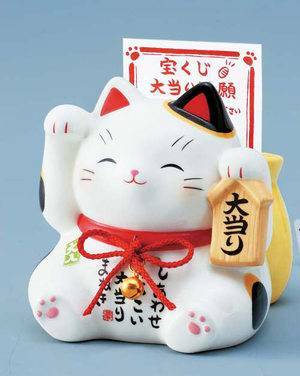 Also the first part of this word, "fuku" is homonymous to the word "wealth" ★kijyou daikichi★開運！(kaiun) 招福！(shofuku)吉祥(kichijo)！Perfect for personal use or as a present or souvenir. Ebisu is believed to bring luck to the trade and farming. 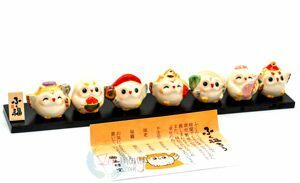 Daikokuten is originaly a hinduistic deity Shiwa. It is said it controlls food supplies and wealth. Bishamonten is also originally a hinduistic deity - Vaisravana, imported into Japan through Buddhism. Benzaiten is one of the deities - protectors of Buddhism. Originally it is a hinduistic deity Saraswaty - the goddess of knowledge, music, arts and science. 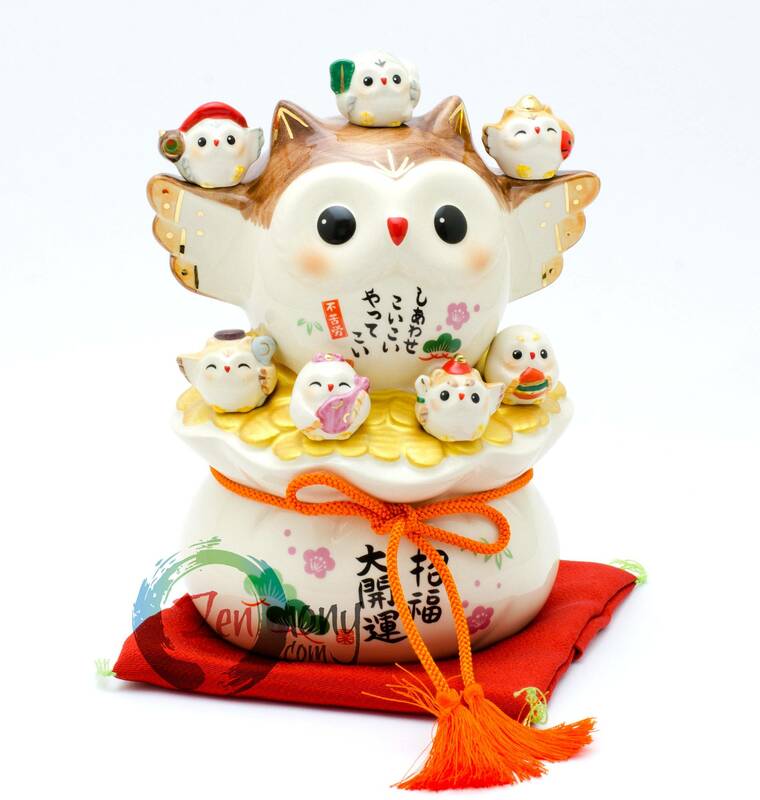 Fukurokuju is a taoistic deity giving multiple children, wealth and longevity. Jurojin is another taoistic deity - incarnation of Canopus. 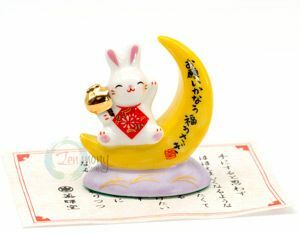 Hotei is a legendary Chinese Buddhist monk. He is always depicted carrying a bag.